All kids love bugs, and this kit provides them with easy to use, professional quality equipment to enable them to catch, study and identify common mini-beasts in their gardens, in parks or in the countryside. With a full colour booklet on how to use the equipment, and charts to help identify the creatures caught. 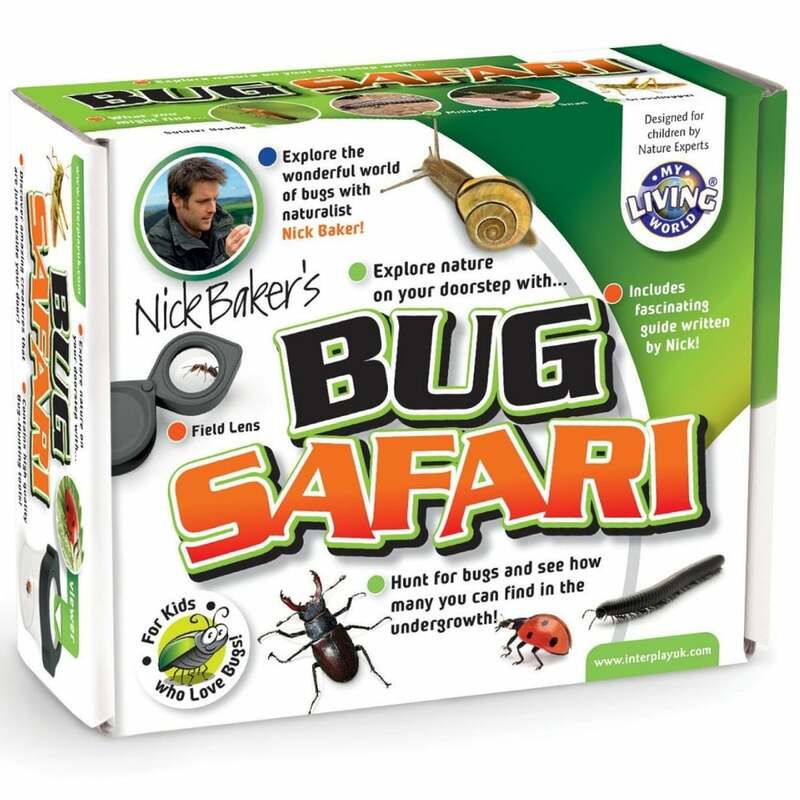 Go on a safari in your back garden and discover the amazing bugs that lurk in the undergrowth. Contents: field lens, bug tongs, viewing pot with magnified lid, brush, tweezers and colour instruction booklet (20 pages). A bit about the brand: My Living World is range that explores the amazing world of living creatures, these kits are not only stimulating and great fun for kids but also help develop an understanding of the natural world and consideration for the environment. My Living World range is designed by nature experts and are championed by leading naturalist and popular TV presenter Nick Baker.